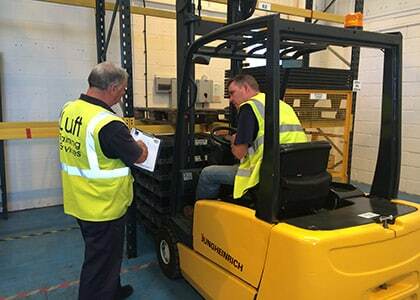 Luft Training ITSSAR Forklift Counterbalance Lift Truck Experienced Course is for existing operators with some previous experience of using a counterbalance forklift truck but have not had the benefit of adequate, formal training in basic operating skills. Our ITSSAR Counterbalance Lift Truck Experienced Course will include theory training and practical operator training which will comply with the standard laid down in accordance with the HSE ACOP code of practice L117. This course enables the successfully trained operators to use any counterbalance forklift truck anywhere within the UK. The Counterbalance Lift Truck is the most common of forklifts in use today and are the workhorse of most materials handling operations. 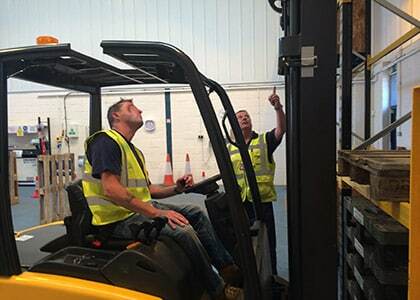 Counterbalance Forklift Truck Training ITSSAR Accredited is available to businesses and individuals across West Sussex and East Sussex to include Chichester, Bognor Regis, Littlehampton, Worthing, Lancing, Hove, Brighton, Portsmouth and all surrounding area’s. If you are not sure if we cover your area please call us or use our contact form page as a member of the team are always happy to assist you. 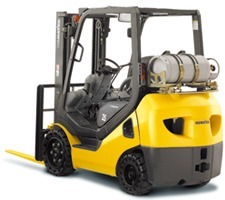 It’s a well known fact that there are companies out there which offer Counterbalance Forklift Training courses on a pay monthly cost, this involves signing up for finance and usually incurs a very high interest rate and in some cases a deposit. Normally these companies do not train their pupils direct and ultimately request quotes from companies like us. At Luft Training Services our Counterbalance Forklift Training costs are both competitive and low so you can afford to go direct. How old do I need to be to take the counterbalance course? The current minimum age to take the Counterbalance Forklift Truck Course is 16 years old. What ITSSAR counterbalance courses do you offer? One Day refresher course is only for operators who have had previous training on the equipment and need to renew their certificate. 2/3 days consolidation course is for operators with previous accredited training. Each successful operator will receive an A4 size certificate from Luft Training Services and a credit size photo I.D card which will be ITSSAR Registered and nationally recognised. 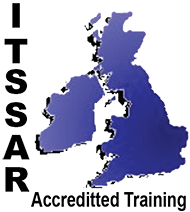 It is anticipated that trainees attending the ITSSAR Counterbalance Forklift Training Course – Experienced operator will have some previous experience (possibly self taught) and will be familiar with the steering and operating characteristics of a counterbalance fork truck but will not have had the benefit of adequate, formal training in basic operating skills. However, they wish to gain a formal, nationally recognised qualification in the safe use of Counterbalance Forklift Trucks.